Have you been patiently waiting for new iPads while everyone's been getting excited about iPhone 5c and iPhone 5s? Listen up! Rumour has it that Apple is planning a October 15 event, which is expected to see the unveiling of iPad 5, iPad mini 2 and new Haswell-powered Macs. According to new reports from French site MacGeneration, Apple is preparing to launch two new iPads and Haswell-powered iMac, MacBook Pro and Mac mini models at a special event on 15 October. It is widely expected that new iPads will be unveiled next month, but so far we've had no solid evidence to pinpoint a date. 15 October would make the launch of the iPad 5 little under a year after the fourth-generation's unveiling, which took place on 23 October 2012. It would also put the iPad launch just over a month after the new iPhones were unveiled. We can't vouch for the authenticity of MacGeneration's report, but it's not unusual for rumours of Apple launches to be accurate, as we saw from the 10 September Apple event. 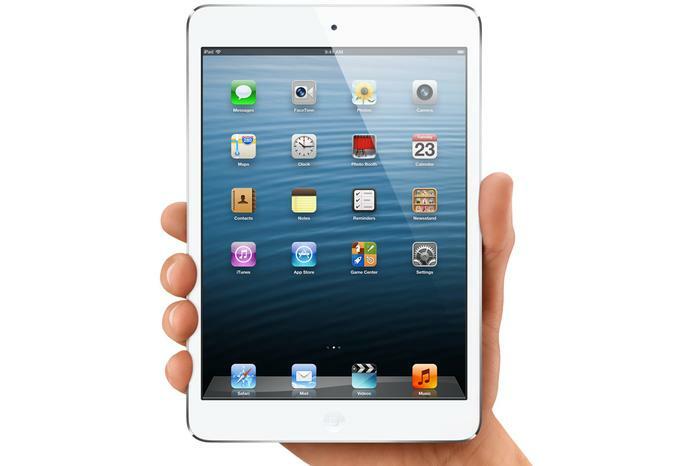 It's likely that the iPad 5 will get a thinner, lighter design, resembling that of its smaller sibling, the iPad mini. We've seen numerous leaked images that seem to confirm this theory. When it comes to new Macs, it's likely that Apple will want to update its entire range to give them Intel's new Haswell processors. The MacBook Air has already been updated (during WWDC 2013 in June), so we expect that the Retina MacBook Pro, Mac mini and iMac will follow. Additionally, we know that Apple is planning to release its new Mac Pro and OS X Mavericks by the end of the year, so its October event could be an ideal time to tell us more about when we can expect them to become available. While not discussed in MacGeneration's article, we've heard that Apple could be planning to update its Apple TV hardware in October, too, so we'll be looking out for that at the special event.